Xanthan gum is a polysaccharide secreted by the bacterium Xanthomonas campestris, used as a food additive and modifier, commonly used as a food thickening agent (in salad dressings, for example) and a stabilizer (in cosmetic products, for example, to prevent ingredients from separating). 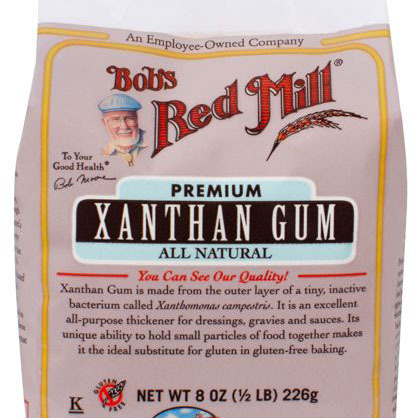 Xanthan gum is safe to use and it's gluten-free. It acts as a stabilizer that helps the bread to rise, similar to the job of gluten in regular flour. It does not give the exact same results, but it helps a lot.